The American Legion is a nonpartisan, not-for-profit organization. 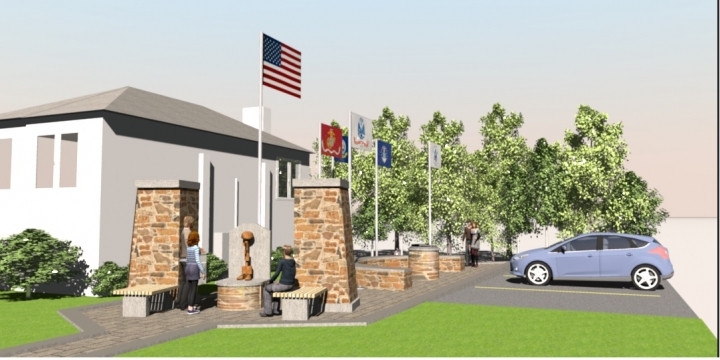 Since our charter, our American Legion Post 294 has been welcoming VETERANS from all branches of our Armed Forces. Today, we continue to welcome all military personnel, who have served and are serving our country. Legionnaires' have a sense of obligation to the community, the state and the nation and that is what has kept the organization strong. Joining our Post enables you to be part of a community of fellow veterans, who serve all veterans through active membership, participation and volunteerism. American Legion Meeting is the 3rd Monday of Each Month @ 7pm. Next Meeting is February 19th. Construction in Progress for New Memorial. Please Be a part of the future! Donate Here!! All events are held at the Clubhouse unless noted. 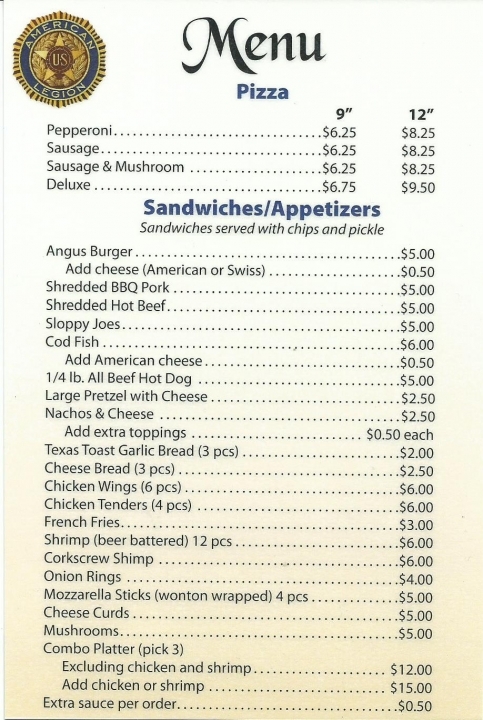 At the Clubhouse, try something from our new MENU. The American Legion's main purpose is to support our veterans, along with sponsoring many activities and programs within the community. For information on eligibility and benefits of being a member Contact Frederick Wacker @ 262-203-0115. Sons of the American Legion are men who are veterans themselves or have a male relative who is eligible to be a veteran. For more information contact Troy Luedtke at 262-506-4618. American Legion Auxiliary members are grandmothers, mothers, sisters, wives, daughters, direct and adopted female descendants of members of The American Legion and members who were in the Armed Forces of the United States during various periods of conflict. For more information contact Monika Tschorn @ http://tirolia1@gmail.com , or the email listed below.